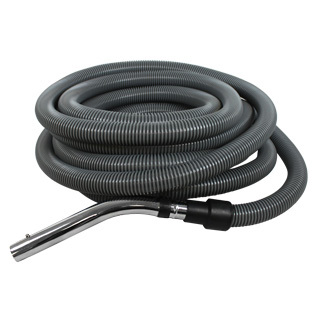 Choose from a large selection of replacement central vacuum hoses for virtually any brand. 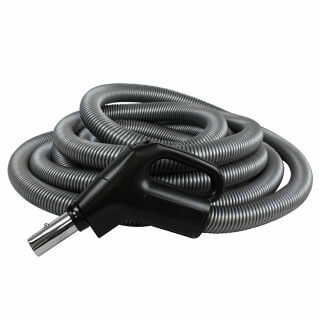 We carry all types including standard, low voltage, pigtail, direct connect, stretch and extension hoses in lengths from 6 to 50 feet. 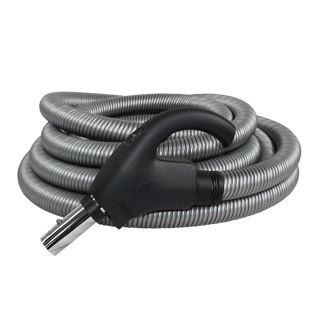 For a further explanation of hose types, click below to view pictures and descriptions. 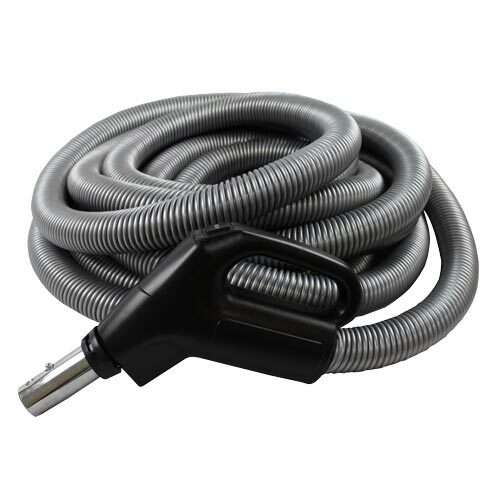 When purchasing a replacement vacuum hose, it is critical to match it to the inlet as well as wand and cleaning attachment. 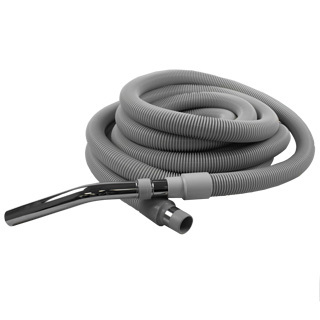 Direct connect hoses can only be used in electrified inlets. 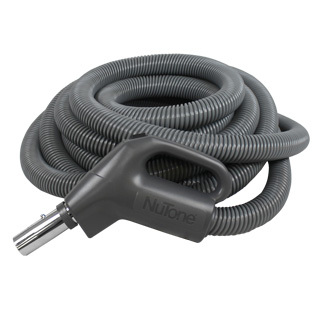 Most other hose types are compatible with universal low voltage inlets inlets. 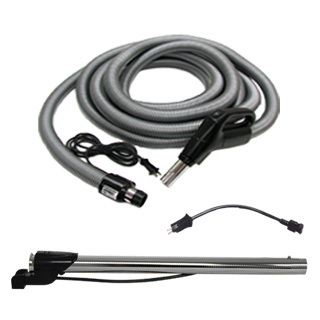 The handle end can have button-lock or friction connection, a switch to control the vacuum and power head, and a high voltage receptacle. 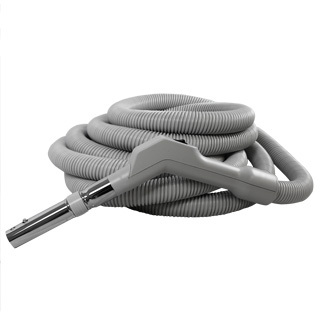 Due to the changes in handle types over the years, the upper wand may need to be replaced when purchasing a new hose. 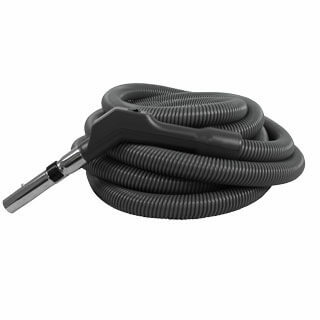 Please call our friendly experts with any questions concerning replacement of your central vac hose. 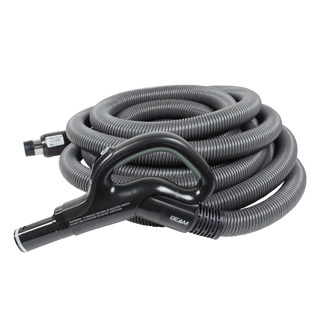 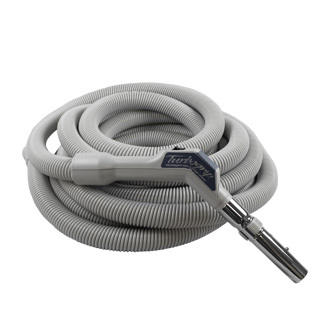 Has continuous metal band on inlet end and no switch on hose handle..
Has 8 ft electric cord extending from the inlet end and 3-way switch on hose handle. 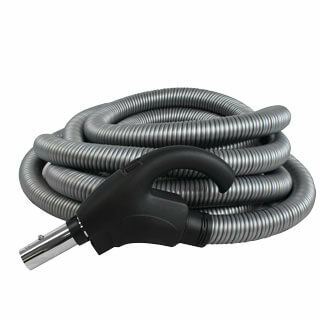 Has split metal band on inlet end and switch on hose handle.